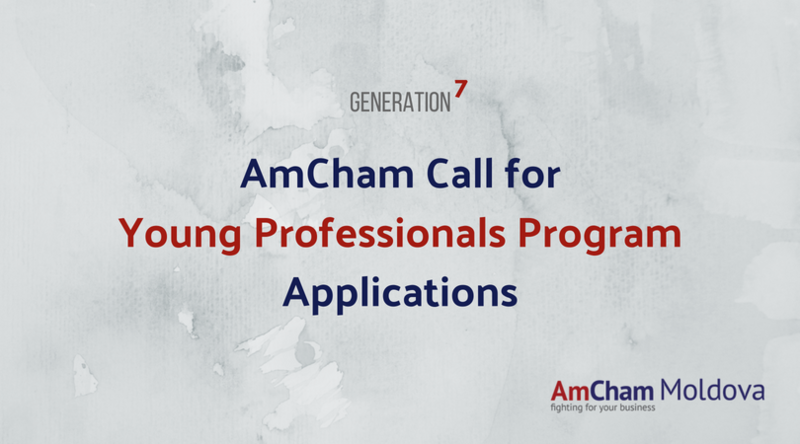 The AmCham Young Professionals Program is in its 7th edition and we are pleased to formally announce that the application process for recruiting young specialist is now open! The AmCham Young Professionals Program is an excellent opportunity to meet new people and establish business connections with talented and ambitious individuals. At the same time, it enables participants to gain knowledge and experience pertinent to the modern business environment in an interesting and interactive way through workshops and meetings. The Young Professionals Program is intended for successful employees of AmCham Member Companies, who have the potential to become the business leaders of the future. Trainings and workshops will take place once a month (third Wednesday of each month), and will be delivered by successful business leaders, Top-managers, trainers and guest speakers. Candidates will be awarded with a certificate at the end of the Program. Enroll them on the AmCham Young Professionals Program; and show them that as a great business leader you are aware of the importance of their professional and personal development. The development of employees is not only an indicator and reflection of a company’s level of development, but of society as a whole. One person per member company will be accepted. • Why are you interested in this project? • What was your greatest achievement? Please submit the above to elenabuzu@amcham.md with the subject “YPP 2018 Application”. Participation fee: 100 USD (to be paid by the company after the applicant is accepted). Should you have any questions, please contact Elena Buzu, Program Coordinator at +373 22 211 781 or elenabuzu@amcham.md.